This may be the best way to travel across Canada if you enjoy scenic drives, but detest driving. 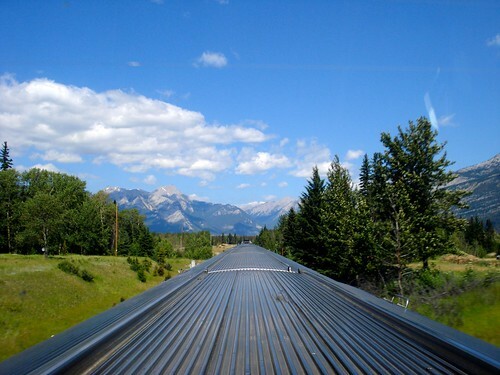 Via Rail allows guests the freedom of hands-free travel that won’t distract you from the beautiful views of the Canadian landscape. This exciting endeavor lets you cover a huge amount of land in three days, making your way from Union Station (Toronto) to Pacific Central Station (Vancouver) in comfort. This trip rolls through over 60 stations along the way, and stops in some of Canada’s most known cities including Toronto, Vancouver, Winnipeg, Saskatoon, Jasper and Edmonton. As with everything travel-related, fares for The Canadian vary according to luxuriousness and time. Cabin selection, one-way versus round trip, food inclusion and seasonal rates are all factors in the price, meaning you can mix and match to find the best price. There are also discounted fares for students and children. Click here for Via Rail pricing. The Canadian gives passengers a fantastic opportunity to get a real feel for the wide-open nature of the country as well as the chance to see wildlife, lakes, forests, prairies and mountains. Newly renovated cars improve the journey with modernized interiors and increased sleeping comfort. Unique entertainment and an on-board chef add to The Canadian experience.